For the hard of hearing, staying aware of particular activities in and around the home can be problematic. The arrival of someone at the door, for instance, cannot always be recognised if you can't hear them knocking or their footsteps. With the Bellman Visit Door Contact Mat, you can stay in the know of the goings-on of your household, exactly when you need to. The sensor mat triggers an alert when it is stepped on, to indicate someone getting out of bed or leaving a room for example, depending on where you choose to place your mat. The mat works alongside the Telephone Transmitter in your Bellman Visit System to help ensure you don't miss a visitor due to hearing loss again. It's not just the hard of hearing who might find it difficult to monitor someone arriving or leaving a room or the house. Carers may also struggle to stay aware of this, for example if they are caring for someone with dementia who is at risk of wandering off. The Bellman Visit Door Contact Mat can therefore also benefit anyone else who wants to keep closer tabs on their space and the people in it, to ensure a safe, happy environment. How Does the Visit Door Mat Work? Keep tabs on your home and ensure the safety of your loved ones with the Bellman Door Mat. 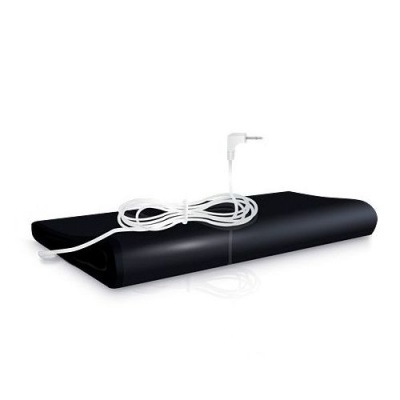 The discreet mat simply sits under a rug or your standard door mat and connects to your existing Bellman Telephone Transmitter. That way if someone steps on the mat, a signal will be sent to the transmitter and your receiver will be alerted. You will be notified through light, sound or vibration. Where you decide to place your mat is up to you; you may wish to keep it at the front door to be alerted of any visitors coming into your home, or perhaps in the bedroom of an elderly loved one you are monitoring. The Bellman Visit Door Contact Mat is designed for indoor use only. It is to be used with the Bellman Telephone Transmitter and a Bellman receiver, which can be purchased separately.